Beside using google hack query to look for songs and movies. 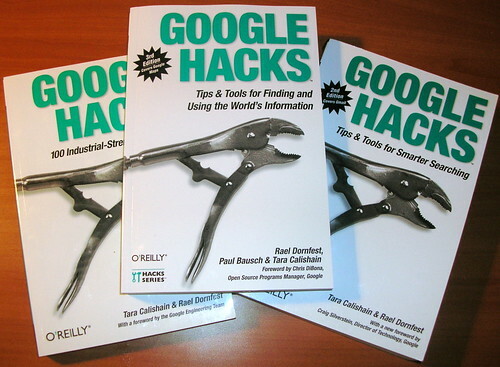 I’d like to give an example query on how to use google hack to search document across the web. As an example, let say we want to look books about “Angels and Demons”, i can give two query samples that help you search books about it. But let me give a warning before that if we want to use this query, the result in google is 98% filled with illegal use of copyrighted material, so proceed with cautious and another warning is make sure that your PC is installed with the latest antivirus and dont ever use this query with Internet Explorer Browser, because IE is prone to Cross-Site Scripting(XSS). We never know the search result site is infected or not. And the other is the one that is more accurate but lesser result because the search query is targeted on the ebook or ebooks named folder. To use the query we could directly click on the query above or u could copy paste the query on to google search bar. To modified the query in to anything that we want to search, just copy the file extension that we want to search, like if we want to look for a microsoft word document, just add or change the (chm|pdf|zip) keyword into (doc) or (chm|pdf|zip|doc). Like i said before about google hack, there’s a lot of website that offer this kind of function to search books, songs or a movies. So why do we need to learn this query to look for books etc on google? The purpose to learn this tutorial is just a back-up plan, in case the favorite website that u visit is down or filled with spam. Yup there’s a high probability that the site that offer this kind of function can be filled with spam/malware/virus, base on my experience there are 4 site that was my favorites happen to have virus, the site is down or change into a must register site. In case you’re not sure about the safety in using this site, just use the latest Firefox browser with NoScript add-on, or use Opera browser instead.